Washington County is located in Southeast Wisconsin between Port Washington and Beaver Dam on the south eastern part of the state just west of Lake Michigan. Washington is known for its historical buildings, golfing, shopping, hunting, marinas, fishing, parks, sledding, museums, theatres, skiing, tubing, Ice Age Trail, which also has Lizard Mound County Park, Kettle Moraine State Forest Pike Lake, Homestead Hollow County Park, Schoen Laufen Park, Dheinsville Historic Park, Big Cedar Lake, Little Cedar Lake, Silver Lake, East Branch Rock River plus a couple communities including; Kewaskum, Allenton, Hartford, Slinger, Jackson, Germantown, Richfield and West Bend. It's surrounded by 6 other Counties; Fond Du Lac, Sheboygan, Ozaukee, Milwaukee, Waukesha and Dodge. On this site you can search for Commercial Buildings, Businesses for Sale, Lease, Restaurants, Automotive, Churches, Hotels, Motels, Retail Space, Warehouses, Shopping Centers, Office Space, Bars & Grills, Manufacturing, School Buildings, Gas Station and more... located in this county listed by a real estate agents. 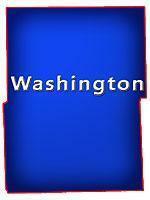 Washington County, Wisconsin GIS MAP Information! Are you thinking of starting a small business by yourself as a sole proprietorship? Or with a friend forming a partnership to start that hair salon you’ve always talked about? Is a custom boutique, t-shirt shop or a retail storefront in your near future? Did you want to Washington County in South East Wisconsin might have just the right commercial property for your future business! Commercial opportunities there include office buildings, garages, stores, shops, greenhouses, vacant commercial lots & land. There are even old churches for sale! This area could be great for doctors, dentists, chiropractors, therapeutic, optometrists, lawyers, accountants, real estate professionals, and more… to open up an office or even a home-based business! Maybe you're tired of putting in long hard hours for someone else and want to become your own boss. Maybe you just want to pick your own hours at your very own store. Can you see yourself owning your own grocery store, hardware store, craft shop, specialty store or tobacco shop? Maybe it's a gift shop, bait shop, 24 hour convenience store or a Liquor store you've been dreaming about. No matter the reason, no matter the type of business you desire, even if you just want to invest some money, Southern WI could be right for your new venture so, Buy a Wisconsin Commercial Property today! Are you ready for the challenge of growing your Wisconsin Business? Or are you thinking of expanding or branching out into a franchise type model? Some ideas for this are a gym, coffee shop, eat-in deli, office supply/copy store, etc. Looking for an adventure? Growing not only the business but the trade, profession, even the physical commercial location might be more challenging than the decision that started it all. So you are wondering is now the time to “become your own boss”? Maybe you have the blueprints, experience, employees, capital / investors, ideas, bigger dreams but you need to implement your plans. Is it time to purchase, lease, rent, buy or mortgage a new physical location? Are you searching for the right commercial real estate for your expanding empire? Maybe it is a carpet sale & installation service, auto sales, small engine repair shop, rental center, or even a food coop. It's time to start looking for the right location to fill all your needs. Are you looking for a location to build your customer base, have a more convenient commute time, have the right number of loading docks or parking lot size? Or are you an easy distance from suppliers, distance to stores or warehouses? Eastern Wisconsin has almost everything a growing business requires. Thinking about starting a seasonal business or expanding your year round business based in South East Wisconsin? On Commercial-WI.com you can find a wide variety of physical locations for Retail Shops, Cafés, Salons, Real Estate Offices, Churches, Bank Buildings, Law Offices, Bakeries, Nightclubs, Food Production, Distribution Centers, Insurance Agencies, Builders, Contractors, Engineering, Engineers, Accounting, Accountants, CPAs, Dentist, Chiropractors, Storage, Printers, Computer Repair, Feed Mills, Convenience Stores, Laundromats, Florist, Consulting Firms, Plumbers, Electricians, Lawn Care, Landscaping, Auto Repair, Auto Body, Insurance, Rental Centers, Consulting, Craft Stores or just some basic office space for whatever. No matter what your next business venture has in store for you, Southern Wisconsin has you’ve been searching for!